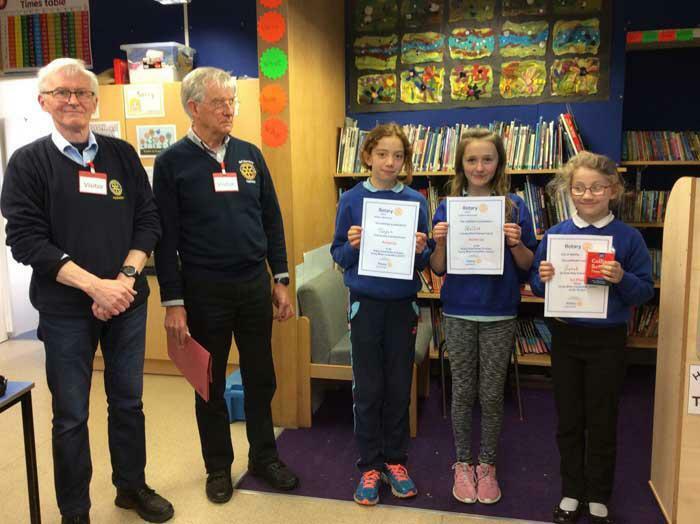 Key stage 2 took part in a young writer’s competition organised by the Appleby Rotary Club. During their Literacy lesson they had to write a piece of reflection writing, on a subject of their own choice using their imagination. Two representatives from the Rotary Club came into school on Friday 5th May to present each child in KS2 with their certificates. Sarah won the competition and Tiegan and Hollie were runners up.